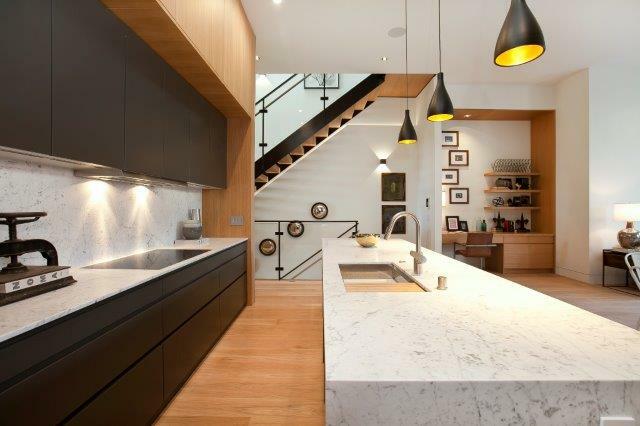 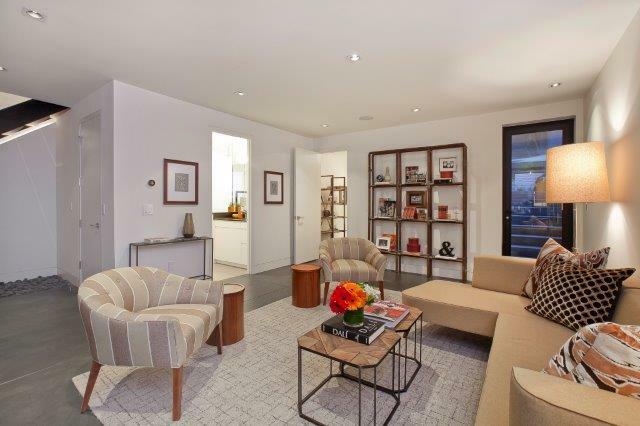 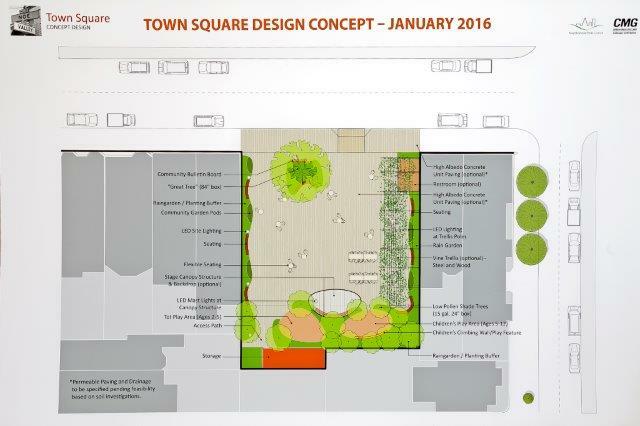 The residence at 168 Jersey Street offers a unique blend of high design, deep comfort, fun convenience and beautiful views. 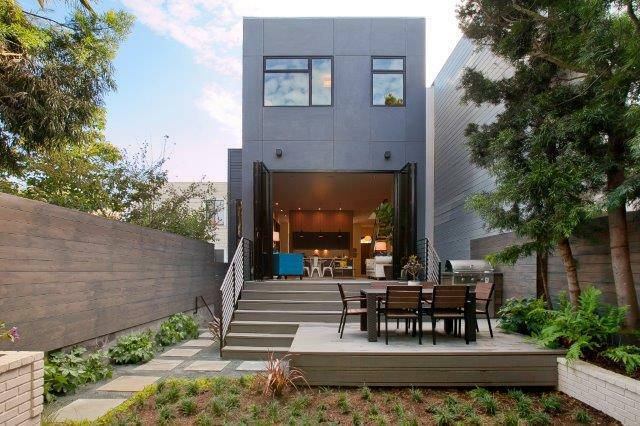 In the heart of Noe Valley, only one short block from 24th Street, its handsome street presence is articulated by large windows, strong, yet understated color palette and thoughtful landscaping elements. 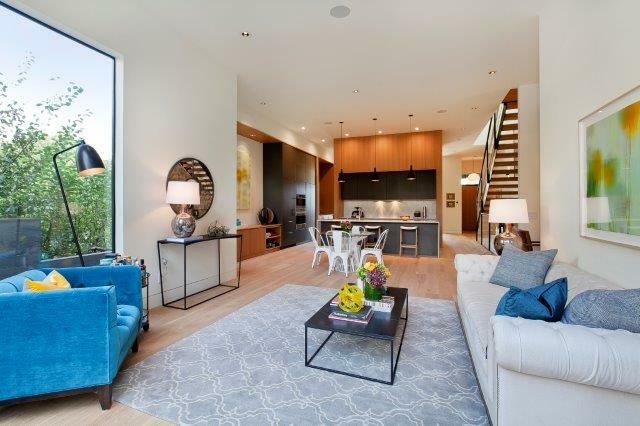 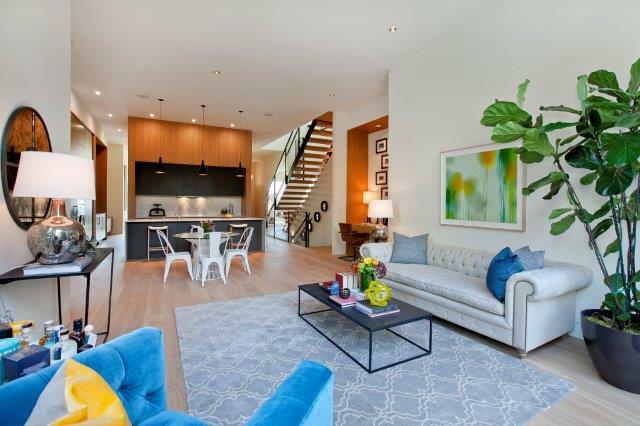 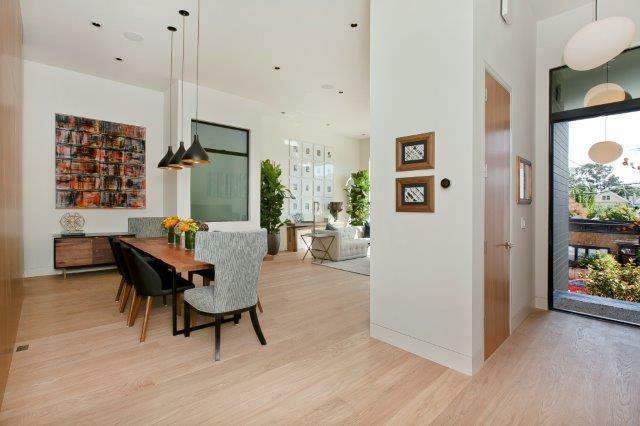 The main living level`s grand and airy feel is achieved by twelve foot+ tall ceilings, beautiful natural light and custom millwork utilizing the finest materials. 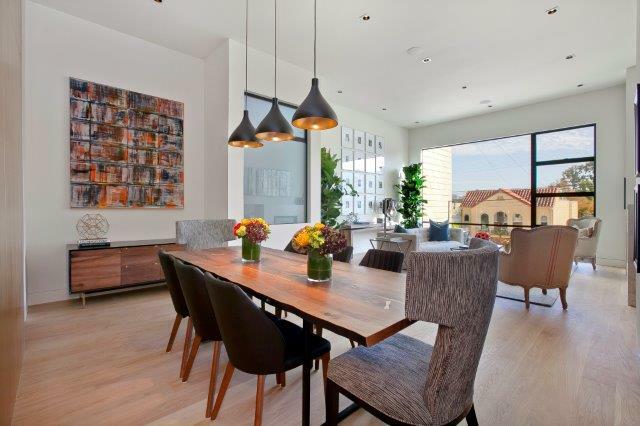 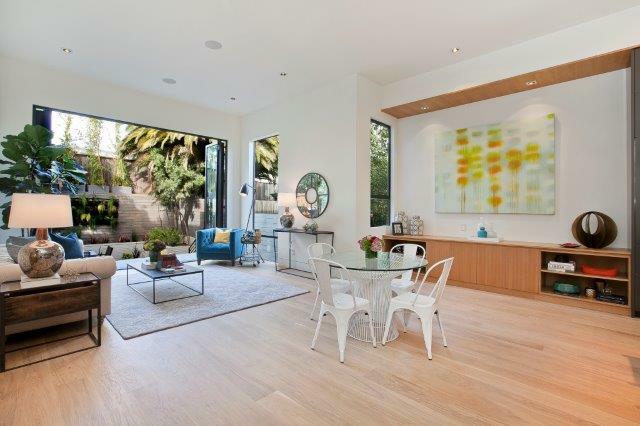 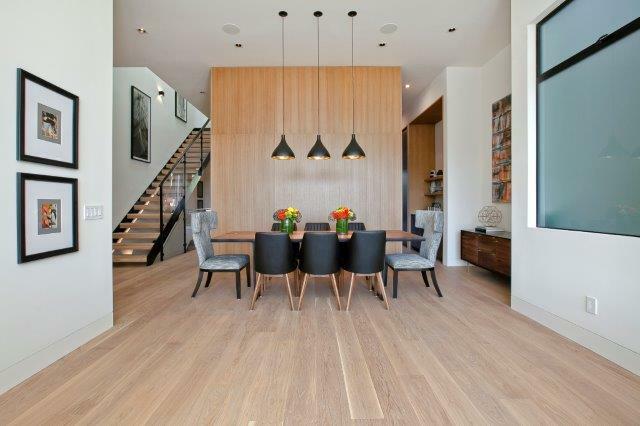 The front formal living – dining area is accentuated by a large architectural window, a fireplace and chic pendants. 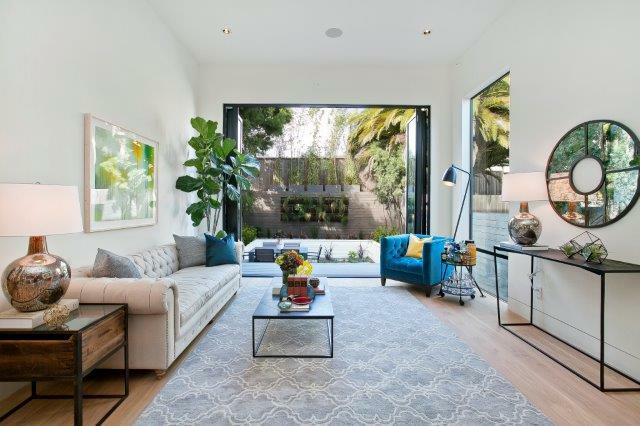 At the back of the home one finds a multi-panel sliding glass door that allows for a seamless indoor-outdoor function from the family room to the outdoor deck and landscaped garden. 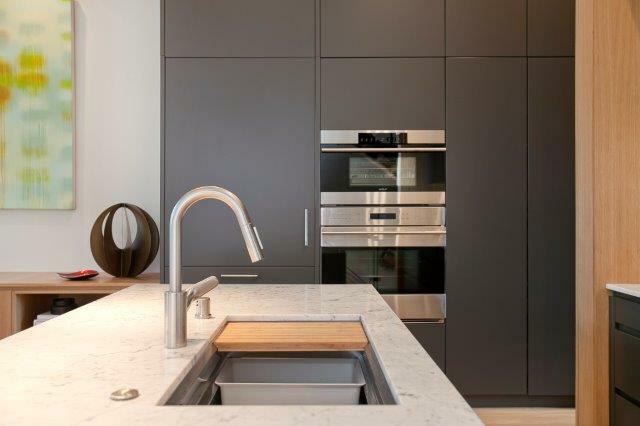 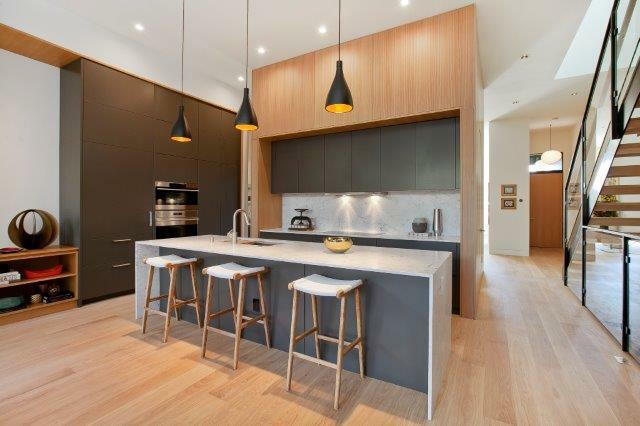 The designer quality kitchen is truly the heart of the home and is equipped with top of the line Wolf & Sub Zero appliances including a double oven, induction cook top and a cabinet-paneled refrigerator and freezer. 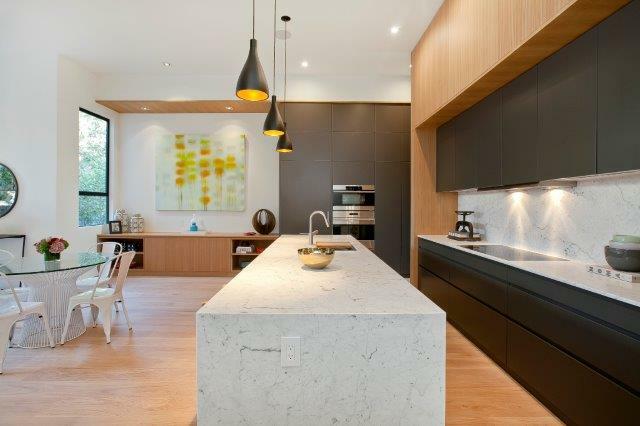 There is a large marble island, walk-in pantry, food-preparation area, a custom built in desk and a powder room on this level as well. 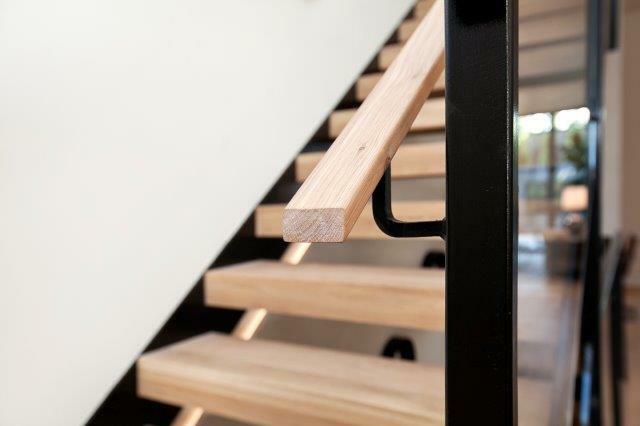 The architectural stair case is beautifully defined with LED lighting and an overhead skylight that illuminates the entire assembly. 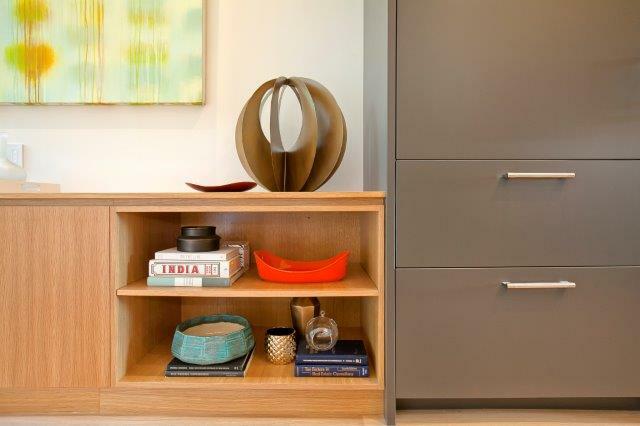 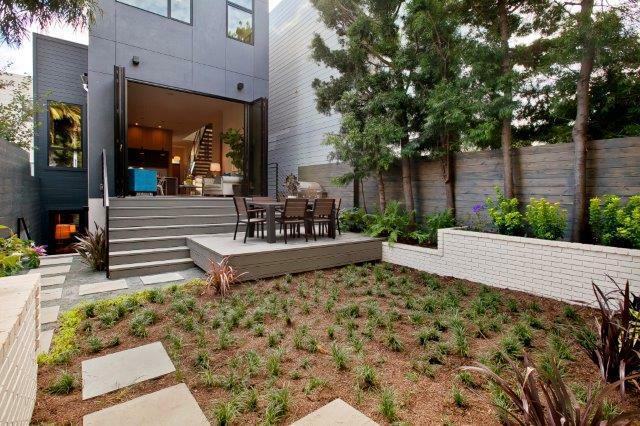 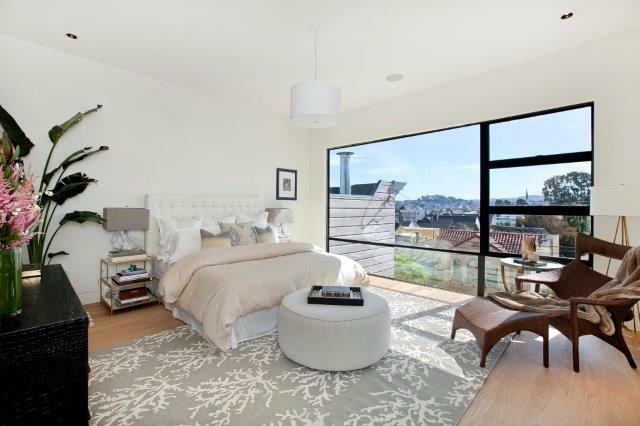 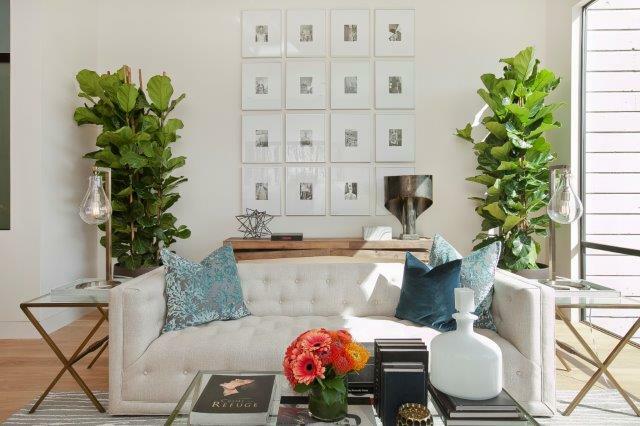 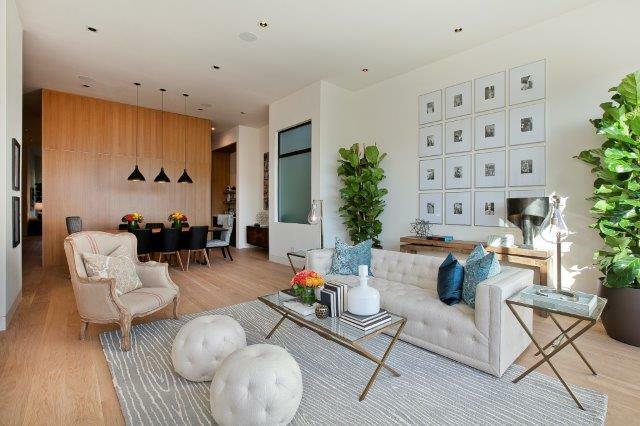 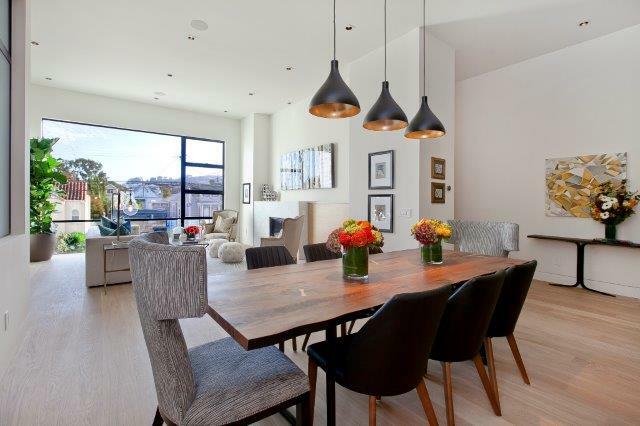 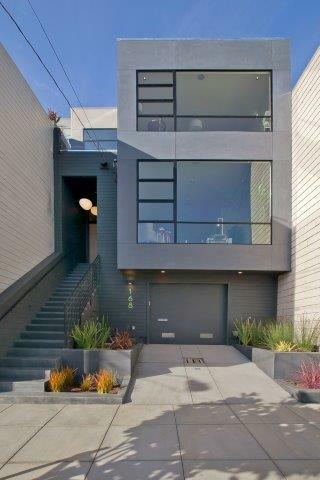 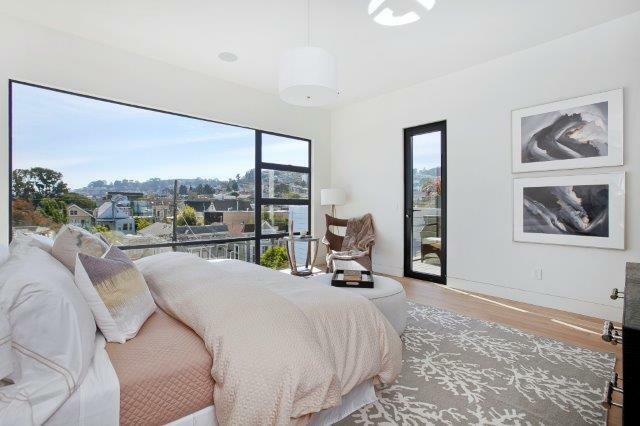 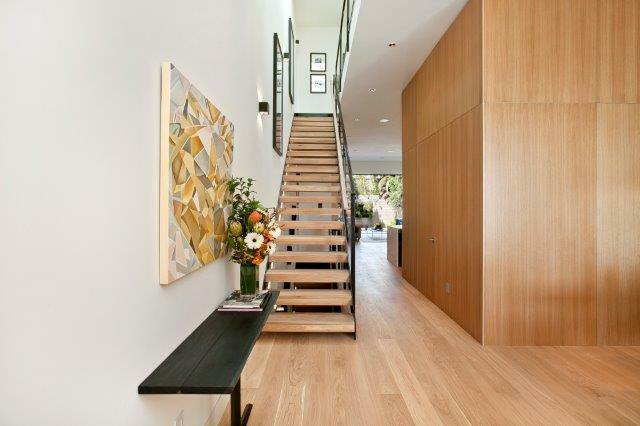 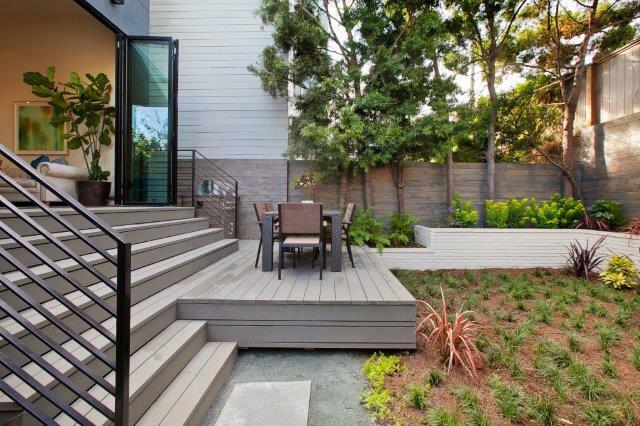 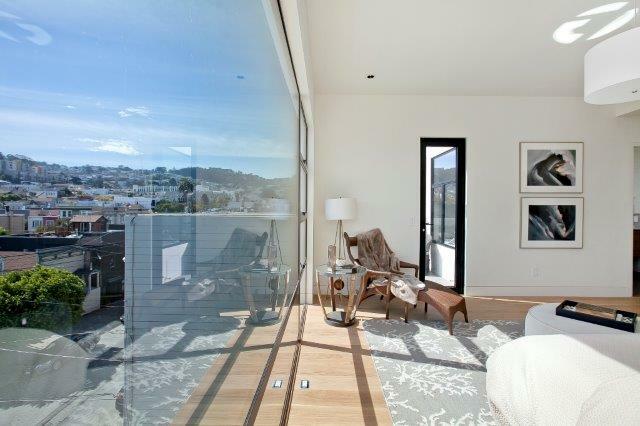 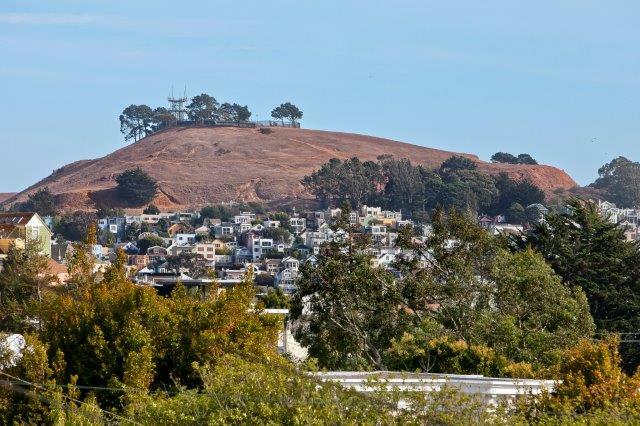 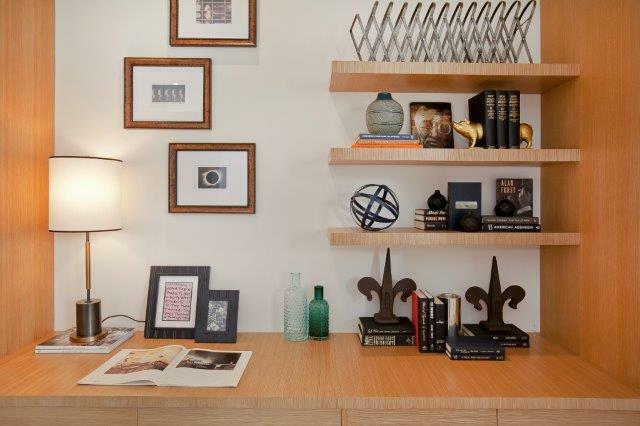 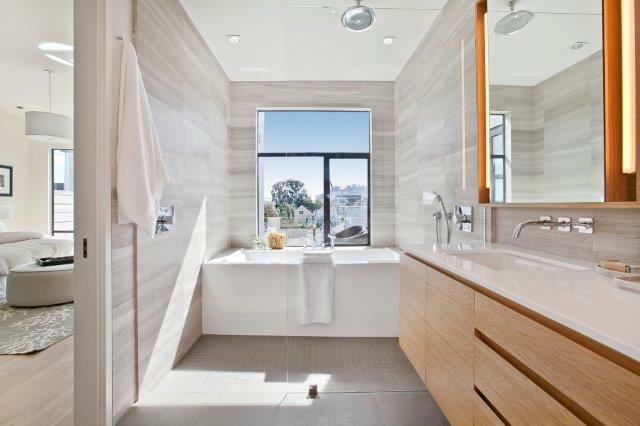 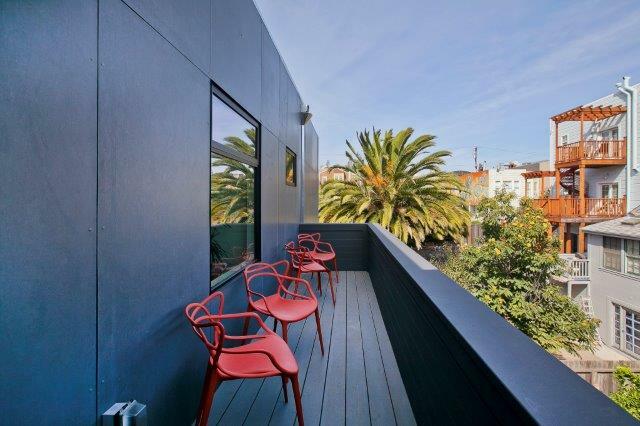 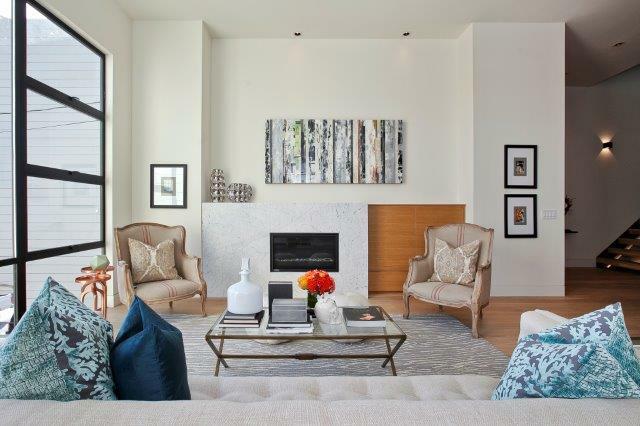 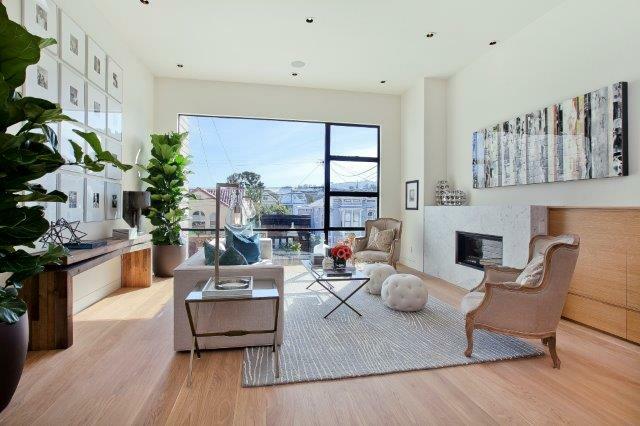 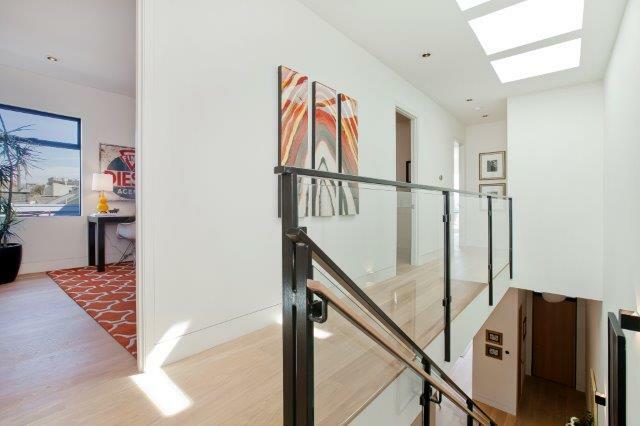 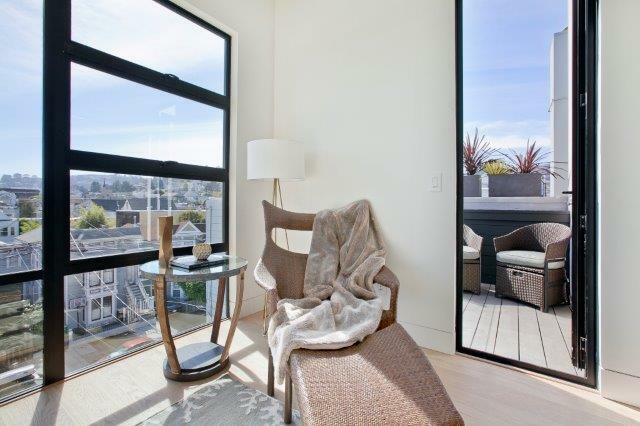 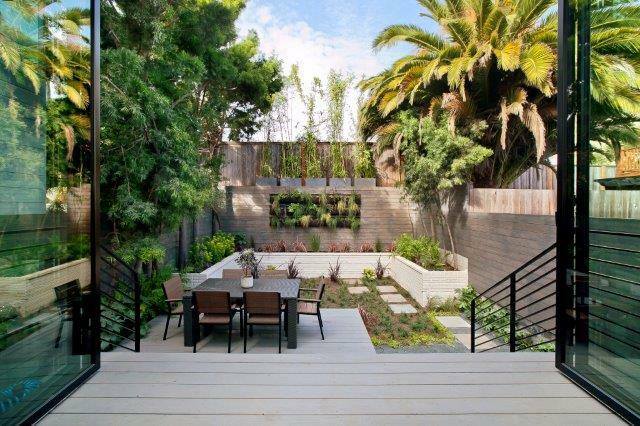 The master suite has sweeping views of Noe Valley`s southern hills and opens onto a cozy patio. 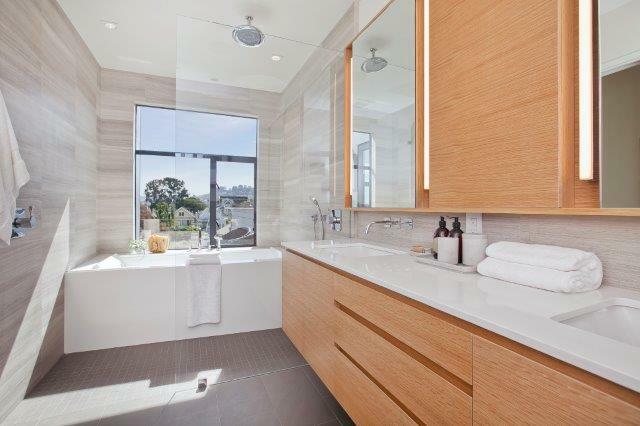 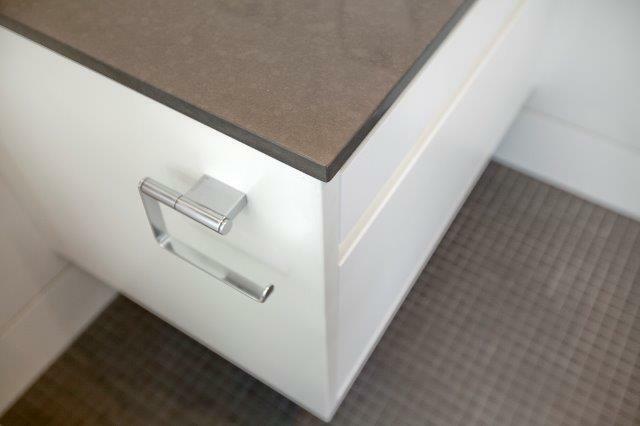 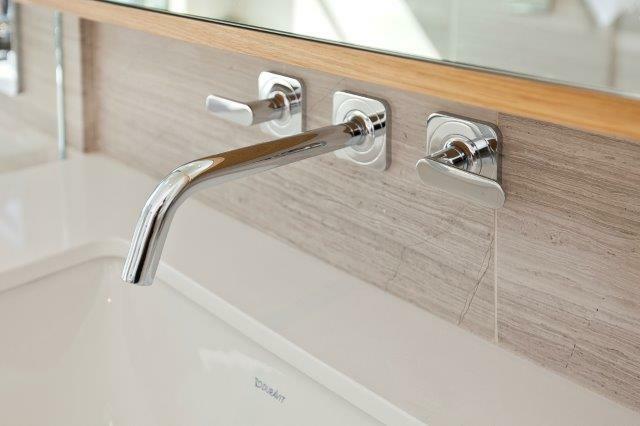 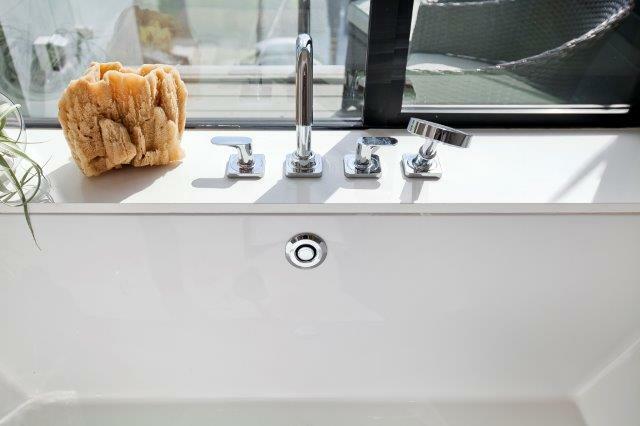 Warm, rich materials were used to give the master bath a spa-like feel. 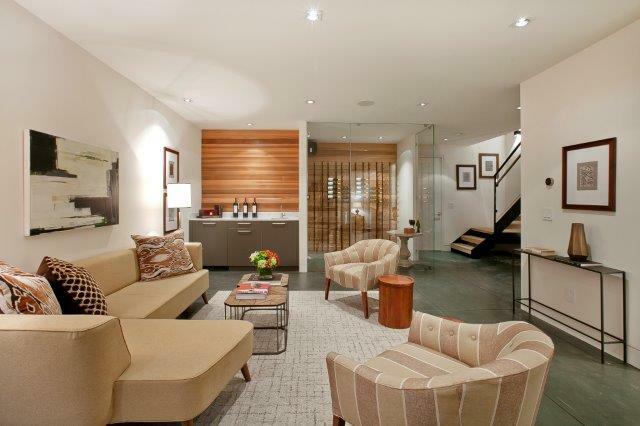 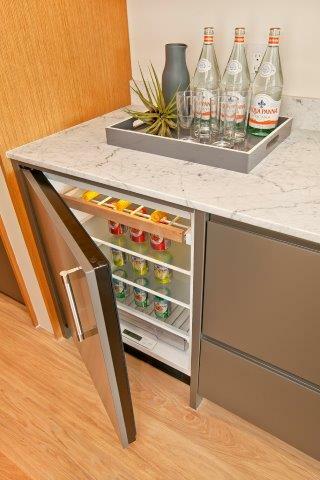 Two additional bedroom suites, and a fully equipped laundry room make this level a well-contained private space. 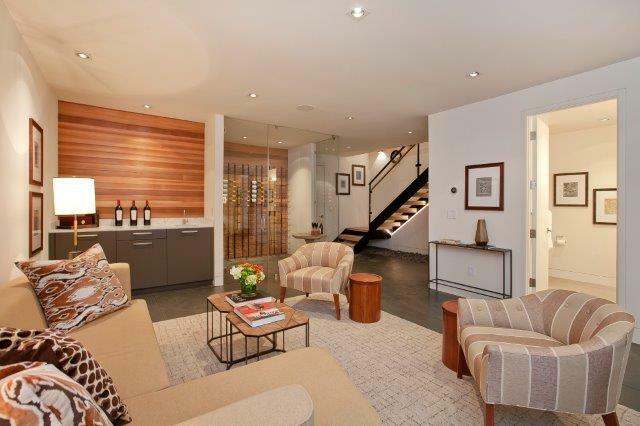 The large downstairs family level offers high-end conveniences of a wine cellar, wet-bar and an additional bedroom and bath. 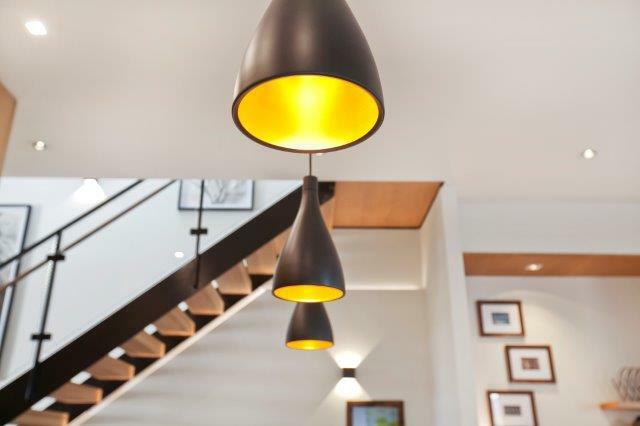 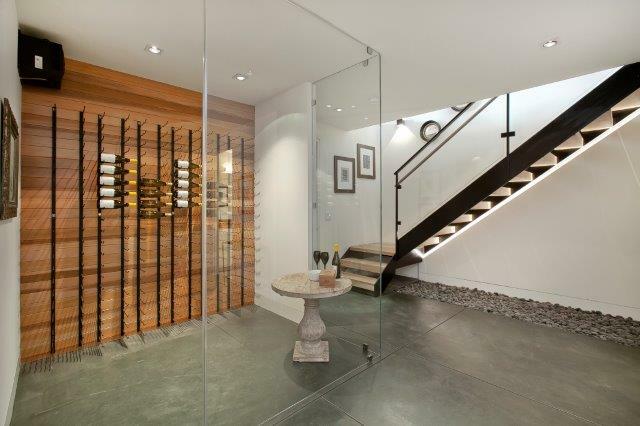 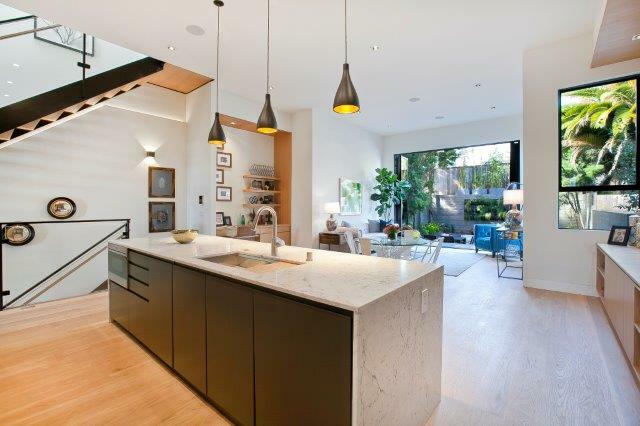 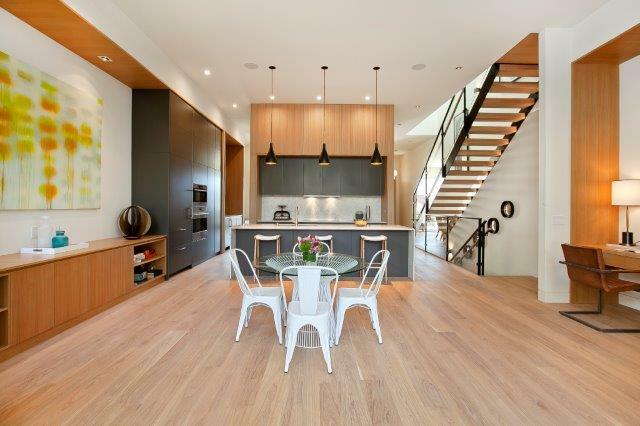 The polished concrete floors are warmed by a radiant heat system that serves the whole home.